Cliffside Park is fairly notable in the entertainment industry. After all, this beautiful borough is where scenes from “Cop Land,” “The King of Queens,” and even the movie “Big” were filmed, giving this area a pedigree that many others lack. Of course, Cliffside Park offers incentives for more than just movie buffs. With its quality school system, it also offers a great place to raise a family in. Indeed, here in the borough of Cliffside Park, you can’t go wrong by hunkering down and getting a home for you and a family! That home, though, should be every bit as beautiful and impressive as the place surrounding it. And a great way to get your home looking every bit that beautiful and impressive is to have marble tile installed within it. If you are in the market for top-quality Cliffside Park tile and marble, then don’t hesitate to call on the pros at Kennedy Tile & Marble Inc. today! Marble Tile In Cliffside Park, Nj. 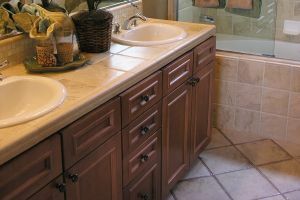 Why should you choose marble for your tile needs? Easy: Marble is beautiful. But aesthetics are not the only benefit that marble can offer your home. It is also durable, long-lasting, and water-resistant, meaning it will keep your home beautiful and safe from water damage for many years to come. If you want to enjoy the most that marble has to offer, then you need to get only top-quality marble for all of your tile needs. And to get only the highest-quality marble at the best price, you need to call on the pros at Kennedy Tile & Marble Inc.! Custom Stone Fabrication In Cliffside Park, Nj. Of course, picking out your marble is only the first step to improving your home with tile and marble. The next step is having that marble cut to fit your needs. And in that endeavor, we at Kennedy Tile & Marble Inc. can STILL help you. We offer custom stone fabrication services to get your marble fitted to any shape, size, and purpose you might have. Don’t settle for less than the most precise custom stone fabrication for your home — call on Kennedy Tile & Marble Inc. We offer exact and clean fabrications at a great price!